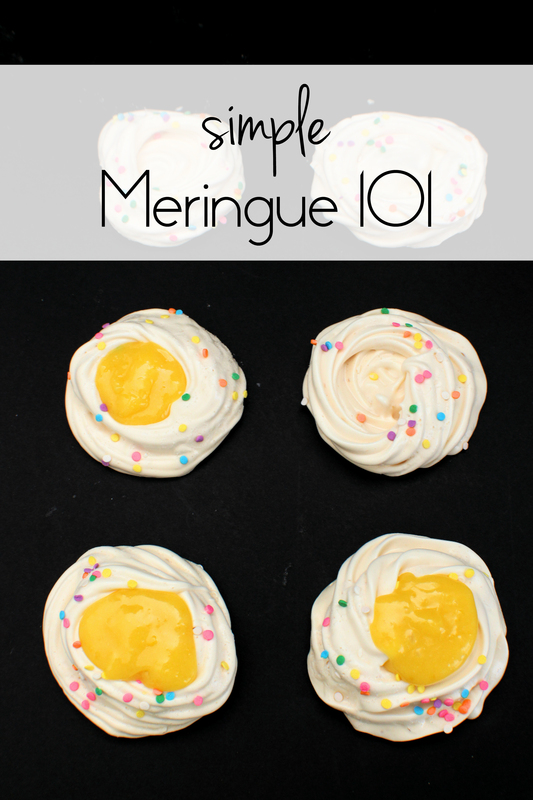 I have always loved the simplicity of meringue. With four ingredients you are able to make light as air cookies or bowls that melt in your mouth. They are dangerously addictive. Making bowls and filling them with your favorite curd, preserve or chocolate are a simple and easy dessert. I have even included two templates to use in the recipe. 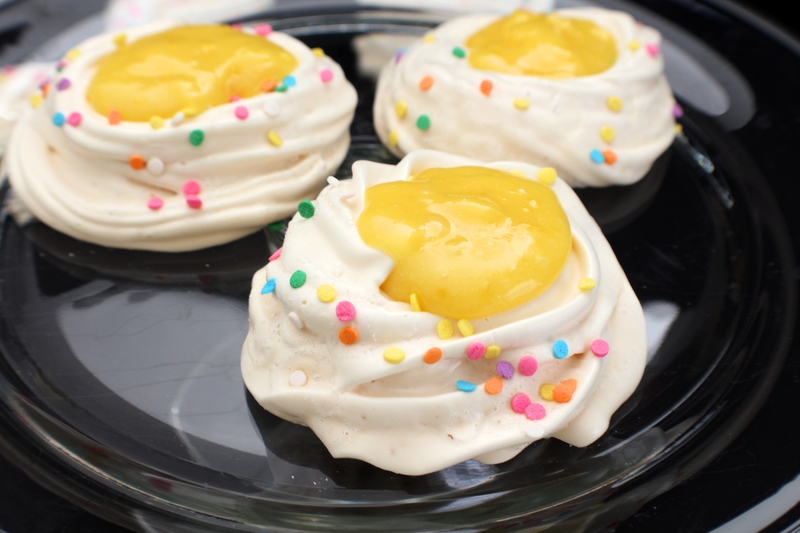 I will never forget the first time I made a meringue. I was in high school and making a lemon meringue pie completely from scratch. I was simply delighted by meringue. Separating the eggs was a messy task. I only knew to cradle the yolk gently with your fingers and let the whites slip into a bowl. Now I chuckle to myself as I separate them using the shells (or my egg white separator if I have a large batch). There was something magical to me to watch the egg whites and sugar slowly form bubbles that turned into soft, billowy clouds of sweetness. I topped my lemon meringue pie with the puffs of white that was a bowl of slime just moments before and fell head over heels. 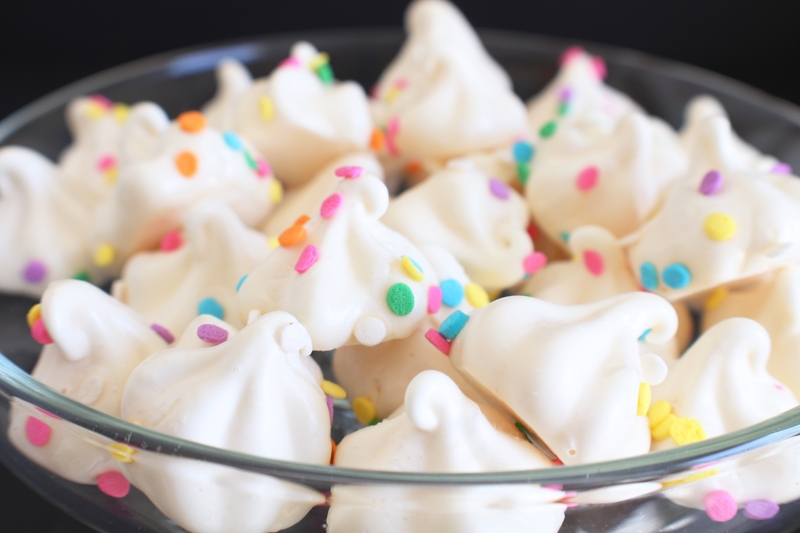 There are a couple things that are important to remember when making meringue. You should use a very clean bowl and whisk. I like to wipe the bowl down with lemon juice to ensure there is no trace of fat left in the bowl. When adding the sugar you want to do so in small amounts very slowly. Adding it too quickly will overwhelm the whites and they will not whip up. Once you have stiff peaks you can pipe it into bowls or cookies, use it to top pies or frost cakes and cupcakes. 1. Preheat oven to 200 degrees F. Line two baking sheets with templates covered in parchment paper. 2. Separate the egg whites and place in the bowl of a stand mixer. Set aside yolks in another container and refrigerate for another recipe. 3. On low speed, slowly whip egg whites until they are frothy and creamy. 4. Slowly increase speed to medium and gradually add sugar and cream of tartar a spoonful at a time. 5. Gradually increase speed and beat meringue until stiff peaks form before folding in extract. 6. Transfer meringue into a piping bag fitted with desired tip and pipe onto sheet trays. If desired, apply quin style sprinkles. 7. Bake small drop cookies for 1 hour (bowls for 1.5 hours). 8. 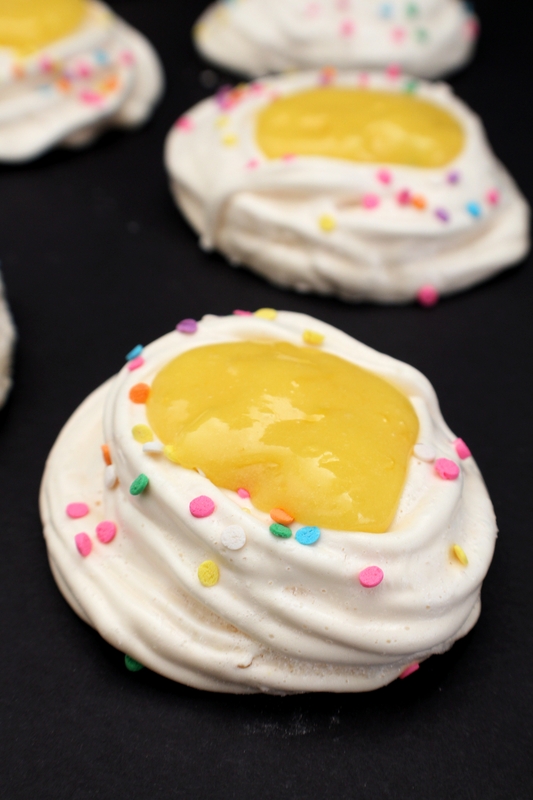 Turn off oven and allow meringues to remain in oven for at least 2 hours. This entry was posted in 101 & Instructional, Cookies, Gluten Free, Other Desserts, Vegetarian. Bookmark the permalink.